Good New Iris, Floriography Inkblot Art. I’ve been quiet lately on the posting news front as well as new blog posts. This is mostly in part because I started a project that I expected to take no more than a week and that snowballed into a bigger job than I thought it was going to be. I decided to do a bit of virtual house keeping, and no doubt some of you have noticed a few changes on this website, with new additions and tweaks here and there. Unfortunately I am still not finished. But you can expect a new blog addition to this website in the next few weeks focusing on my fabric design. Hopefully I shall be finished with the majority of my virtual house keeping by the end of the next two weeks, unless more things pop up that I hadn’t thought of. One of the changes I wanted to make was a featured image for my news page. It’s been my to-do list for a long while. I kept changing my mind as to an appropriate image. I finally a month or two ago settled on an idea and instead of changing my mind it stuck. Simple to the point and with meaning. What imagery could convey news you ask? That’s pretty much what I was struggling with for a long time too. But then whilst I was looking through my floriography dictionary, I came across the entry for iris flowers, blue ones to be exact. A beautiful flower that I not only loved enough to consider for my wedding bouquet (unfortunately they didn’t happen due to the florist couldn’t find any at his supplier that morning of good enough quality, though my bouquet was still beautiful none the less) but also in my favorite colour. The symbology made sense. It also made sense to call on my floriography inkblot artwork for another element of my website seen as I already had incorporated the medium and style for my logo. It was decided, hopefully no more changing of my mind. So this posts artwork is a floriography inkblot piece on the blue iris. I call it “Good News Iris” for the floriography meaning of blue iris flowers which is good news.. Inspiration was it’s meaning and intended purpose. I used blue finger paint and green food dye dissolved in water to create to create the inkblots on watercolour paper stock as I was at the time making salt and watercolour art with my daughter S and that’s the paint mediums we were using for that. Which just goes to show you don’t need to use professional mediums to make something look good, and weird experimentation’s can result in some beautiful outcomes. Over the inkblots I drew by hand the Iris details, first in pencil and secondly in gold oil based sharpie pen. Then finished it off with gold gel pen for the hand written floriography and my two signatures. And this is the final piece. Floriography Inkblot artwork of a blue Iris. The blue iris can mean good news. So there you have it…. my new news page icon. Now don’t forget to check out my news feed page for babble, I mean good news from me between posts. Now it has a featured image there’s no excuse to miss the page. As I always do with most of my art I shall be making “Good News iris” available in my POD stores, should you wish to own your own piece of good news. Just follow anyone of my various store links to check whats available. Since we bought our current home and finally had our own garden, we been getting into gardening and growing things. Well if I ‘m honest, it’s mostly been a lot of my enthusiasm and ideas and hell of a lot of V’s physical input and gardening. Anything from roses to tomatoes and squash we have been trying to grow it. With perhaps more emphasis on the edibles rather than ornamental plants. Having great fun growing, picking and eating the fruits of our labors….OK mostly V’s labors and my direction. With all the new flowers and plants growing in our gardens and in the neighbors gardens I didn’t have to look far to find sights that inspired me. I had previously bought some mini red roses and planted them in a planter on my patio and they were in full bloom. I wanted to do something inspired by the beautiful red roses. I had also been recently reminded of the subject of Victorian Floriography, which I wanted to learn more about. The basic premise of Floriography is that every flower or plant has a meaning attached to them. And by understanding those meanings you can convey secret messages or sentiments to others through flower arrangements or even individual flowers. I bought the book “The Language and Sentiment of Flowers” by James McCabe. Which is essentially a flower meaning dictionary, where you can look up either a specific flower for their meaning or a sentiment to find a flower suggestion. I’ve really enjoyed reading this book. And have found it very helpful when researching this project. Though I have come across one or two plants not included so far. I do recommend this book if you are looking of a Floriography dictionary. Now I knew what my inspiration was going to be I had to decide what felt right as a medium. A few years ago I went through an artist’s ink phase, and subsequently got into inkblots. Where I developed my own style/method of drawing with inkblots, which created some beautiful prints. Mostly these prints revolved around flora inspirations and abstract shapes as those subjects seemed to suit the style this method resulted in. This felt light a natural fit for my new project. I used this method to create part of my new logo which you saw in my last blog post. My mediums of choice for this project will mostly be artist ink, pencil and pen (in this posts case oil based Sharpie), on paper. You can never have too much ink…that is artist ink. And because I like to be a bit different I like to paint and draw with pipettes instead of brushes. So I spent a little while making a mess with ink and having fun. The beginnings of an inkblot drawing. After it’s pressed. Not as pretty. A true inkblot now. After that I let it dry before I went on to add the details and finish it. So for this post I went with a specific flower and then looked up its meaning/sentiment for my inspiration rather than the sentiment being my starting point. As I already stated, I decided to start with the red roses in my garden. So all that was left was to look up roses and their meanings whilst the ink dried. A single red rose. Love and Simplicity. According to some of my research roses especially red ones, generally stand for love in floriogrpahy. But variations in colour, or even type of rose or number of blooms and if open can dictate a change in meaning. Therefore if a red rose stands for love and a single rose stands for simplicity one could interpret a single red rose for a simplistic love. Once all was dry and I was able to pencil down some details taking a lead from the natural flow of the inkblots I ended up with two different red rose prints. Both I gave gold pen details. Each one construes a different sentiment based on my research of floriography. The first print features a bunch of roses on their stems with leaves. Bunch of red roses stand for love. The second piece was a single rose with some leaves visible. A single rose stands for simplicity. Whilst red roses are said to hold a floriogrpahy meaning of love a single rose can sometimes mean simplicity. Therefore you could construe a single red rose as a declaration of simple love. Overall I’ve really enjoyed making these pieces and learning more about floriography. And I can’t wait to make more, so watch this space as it may become a regular subject on the Inspired Me Studio blog. 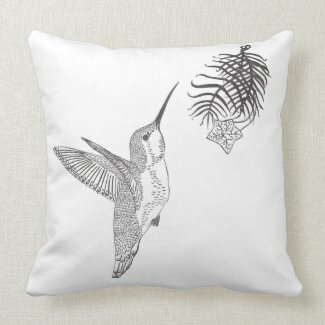 Since I started selling my art on Zazzle and Spoonflower, I have realized that being social is a necessity to get my work seen and perhaps make one sale. And since then I’ve been on steep learning curve as to what marketing means to an artist. Many think that selling your photography or artwork on a POD site (print on demand website) is a simple and quick way to make money from your creative efforts. But it’s anything but quick, simple and by no means easy. Starting out I expected to spend majority of my time creating the art, followed by creating designs for POD sites from said art and finally promoting. But the reality has been in fact the reverse. I have at times spend majority of my time networking or socializing, followed by designing for the POD sites, and then some artwork. Which may not sound like a big deal, except for me it matters as my time in the to create is already short. But I still do it anyway. I do it because because without networking and socializing nobody would see my art, or my blog. Let alone my art of the POD sites. Often I do it religiously, sometimes I take a break for a couple of days, or more. I follow advice I have been given. And I try all the social media networking/marketing advice I find. Post regularly and I try to not go a huge amount of time between blog posts (which is hard because I don’t like posting till I’ve completed a project which may be more than one piece in my mind when I start out. But through all of that I sometimes…….Actually quite often find myself looking at the screen like this. Peek a Hoo, I see you! And wondering Do you see me? You see for the most part, the only time I can see someone has read my blog, or liked my work, and designs is if they tell me. Be it through a simple like or comment, even an email, or a simple mention, share on their profiles and pages, or re-tweet. Without those I can’t tell what you think or if you have even read what I have written. Yes I have statistics for this website…but they are very vague. It doesn’t say if you liked something….sometimes it’s hard to distinguish between the visits from genuine folks and the bots or spammers with their dubious shoe sales. So often when I publish new posts and network on all the different social sites, I sometimes wonder if anyone sees me? Sometimes it feels like I am talking into the massive abyss that is the world wide web. The proverbial tree in an internet forest. If I post something and no-one is there to read it, does it make an impact of any kind? I create to be creative as it is what I love. And I also wish to show S that you can still try to do something that makes you happy even if its not a nine to five that’s guaranteed to make a living. So I wont stop doing so, because I cannot see who’s listening to me. And I wont stop sharing in case someone is. So I shall just have to continue to be inspired and create. And I shall continue to share. still like this looking for that spec of encouragement. Still wondering are you out there? Can you see me? Till now I’ve been more interested in the painting and the drawing. …….at least whenever I can achieve it. I let the branding and presentation side slide…mostly because I got distracted with the art side, but also because I was putting off figuring out how to edit WordPress to being exactly as I wanted it. But after while I just couldn’t pretend I didn’t mind the shabby and not very well put together look I have. so I decided to stop procrastinating. And so now I shall be fitting in between art posts work on my presentation. It’s a slow work in progress. And i shall be working on it bit by bit. progressively over time. So please don’t expect an over night complete transformation. But today I do have one improvement to show you. A new Inspired Me Studio. I figured it was time to have one and maybe the best place to start. It took a while to figure out not just what I wanted and what was expected of a logo but also what represented Inspired Me Studio the best. This was something I found challenging. At first I was more concerned with the text and displaying the name. But this didn’t get me anywhere. It wasn’t until i stopped and thought about what it was I was offering, that was able to make any progress on starting. I realized that a logo was more than just a signature or displaying your name. It has to tell a story. It had to tell Inspired Me Studios story. And What Inspired Me Studio was about and what I offered. Firstly lets start with what I am and what I have to offer. I am an artist and a designer. I knew that that important aspect must be the main focus of my logo. I needed to include a piece of my art but something compact and unique to me. I had recently revisited a style of art that really enjoyed and its something that you don’t see commonly. I decided it would work perfectly for this project so I took that style and went with it. But first I had to decide what to draw. Something simple and compact. Not a fine art piece of a landscape. But something that told my story. But how do you choose which elements of a long story to tell. If you have read my about page and been following my blog till now. you would already know that I am an English transplant, now living in Southern California with my husband and young daughter. You’d know I have a background in both art and fashion design. And you would know that my daughter played a big part in Inspiring me to start creating again and Inspired Me Studio, blog and all. That I have many hopes for the path inspired Me Studio will take me on. It’s a very much personal journey to me. But how do I incorporate all that into a simple logo? It took a lot of thought and consideration. What would represent all that? i decided to take inspiration from a form of symbolism I am a fan of, floriography. Floriography reminded me that many things have symbolic meanings including flowers. I chose to use a flower in my logo. But not for its floriography meaning. I wanted something that would be aesthetically pleasing in my painting style which could also represent my Daughter, for all her influence in my starting this endeavor. Her name literally is Star in another language. I found many flower examples that were known to have star shaped flowers and I felt a flower would best represent her beautiful nature. I chose the ever climbing cypress vine. for its beautiful red star shaped flowers. **In case you are curious i have yet to find a meaning for the cypress vine on its own… but apparently according to one site i read when combined with Marigold it stands for despair, not quite the feelings the flower invokes in myself. If anyone finds a nicer meaning for the cypress vine i would love to hear it. So I created some ink blots in a beautiful red ink and sketched a cypress vine flower and leaves in gold oil based sharpie. Ink blots are most beautiful i find when symmetrically mirrored. So decided to make the logo so too. A messy mess. So much fun to create. Flowers, especially trumpet flowers also go very well hand in hand with another component of my logo……hummingbirds. Hummingbirds feed nectar from trumpet shaped flowers. And are attracted to brightly colored flowers. For my last post I drew a few hummingbirds and cypress vines. That post was inspired by the hummingbirds I have been watching in my garden. I decided to reuse one of my hummingbird illustrations for my logo. I found the symbolism of the hummingbird inspiring and very apt for what Inspired Me Studio both means to me and also my hopes and intentions. Hummingbirds it is said, represent lightness and joy. their ability to fly in many directions fast and hover in one spot reminds us to continue to keep moving forwards. but not forget to remember to occasionally stop and savor life’s beauty. The meanings that have been attributed to these beautiful and mostly tiny birds resonate with me greatly. My Hovering Hummingbird from my previous post. So by this point I had all the elements of my logo, bar the text which chose to hand draw to match the style of the hummingbird. And put them all together in an antithetical form. And here it is…my mirrored ink blot, hummingbird, cypress vine, daughter inspired, new logo with personal spiritual meaning. What do you think? not too shabby huh? I’m pretty in love with its imagery. Perhaps I wont do too badly with this revamp after all! Now whats next on my list?…. OH JOY!……See you on the About Me page…….. in say 4 months, or longer. That one may take some time. Create unique custom plates online at Zazzle. Since I moved to California (from England) to be with my husband, I’ve become more appreciative of birds. Not that I didn’t like them before. I loved them. I have had for many years a pet Cockatiel which sadly had to stay in the UK with my parents. But when I came to live here, it was the first time I had ever seen a hummingbird. They are tiny, cute and beautiful and I was in awe. And when I found out you could get a hummingbird feeder! So we strung one upon our balcony and that was my solution to not having a pet for the first time in my life. Over the past 5 years I have watched the hummingbirds come and go from our feeder, bought a house with a garden, bought an extra feeder, watched even more hummingbirds come and go, even stay and fight off others. I’m truly hooked and inspired. Some of them are iridescent, with bright emerald greens and ruby reds. Others different hues of browns. I was inspired enough to ask V to get me some photos…. Ruby Throated Hummingbird perched on a wire. Then I was inspired to sketch…. That inspiration moved on to create. Hummingbird in black pen and pencil. I did studies of the different aspects of hummingbirds that intrigue me…. Studies of cypress vines. Hummingbirds feed from what seem to be the most beautiful flowers. And finally create something more detailed. Unfinished perched hummingbird framed with cypress vine. Pencil and black pen. I haven’t finished with my hummingbird inspiration….and I haven’t finished all that I have created so far. In fact I still am uncertain what exactly I will do with the different studies featured in this post. I know I will certainly revisit them as well as the inspiration of this post..
Not least because there is always a hummingbird in my garden. They really do enjoy the red sugary drink we put out for them. For new blog post announcements, news, promotional announcements. This site contains Affiliate Links on many pages and on the bottom of blog posts. As an freelance artist and designer I promote Print On Demand products featuring work by myself and other artists with affiliate links. When purchases are made through visiting these links I receive a small commission from the Print on Demand company which received the sale. These affiliate links are in the form of banner ads, hypertext links and clickable images. The affiliate links on this site contain tracking codes by which the companies are able to track my affiliate ID and attribute referrals to the correct affiliate, i.e. myself. There is no additional cost to you should you make a purchase through these links.